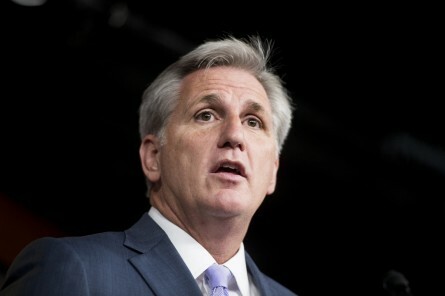 Majority Leader Kevin McCarthy, as expected, made it official Monday, telling fellow House Republicans in a letter he will seek the speaker&apos;s gavel. With Ways and Means Chairman Paul Ryan, R-Wis., choosing to stand pat, McCarthy was widely regarded as the favorite to succeed House Speaker John A. Boehner, though the California lawmaker will face opposition: Florida Rep. Daniel Webster has also announced he will run. Boehner announced last week he will leave Congress at the end of October.